A.R.E.S. 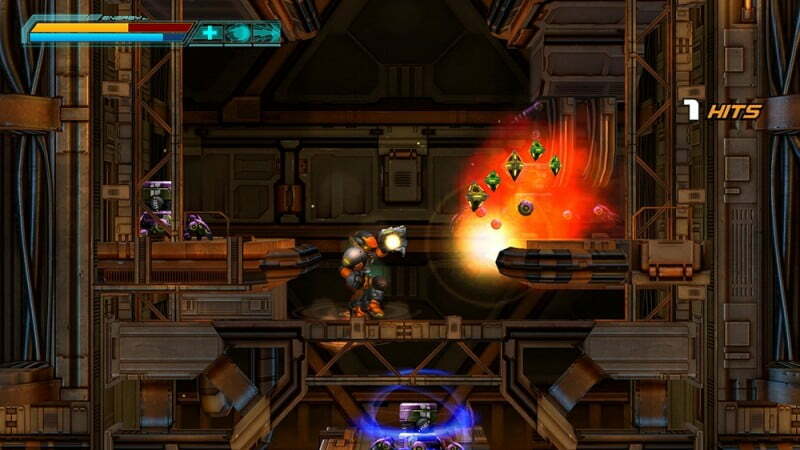 Extinction Agenda EX is a Sci-Fi platformer developed by Extend Studio. After being on Steam for about three years, it has made its way to consoles. Being ported to a platform where a gamepad is the primary method of control would greatly benefit any platformer. However, this game is so confused over what it wants to be that, regardless of the controller support, it is never able to fully satisfy. 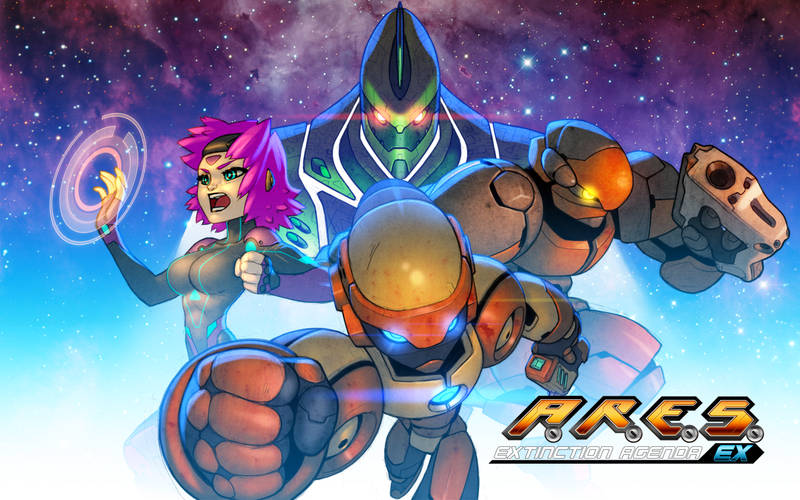 You play as either Ares or Tarus, two robots assigned to rescue a doctor in a space station infested with sentient machines. There isn’t a whole lot here that is too interesting and you will most likely forget the story easily. Mellow drama and clichés cloud the narrative without providing anything unique in return. As long as the plot serves to drive gameplay, it is acceptable, but there is one major flaw in the narrative structure; you can play as two different characters, each have their own play style, design, and dialog but both share the exact same levels. Every level attempts to serve both characters’ very distinct attributes. Some platforming areas are greatly suited for the more agile Ares, but nearly impossible for the slower Tarus. The lack of level variation between the characters’ games is one of the most frustrating aspects of the entire experience. As for the characters themselves, Ares and Tarus could not be more different. Ares has long range, high speed weapons. His dashes, and areal jumps are quicker and more fleshed out. Tarus is the complete opposite with short range, high damage weapons and slower, more deliberate movements. These two drastically different styles could have offered two unique campaigns, but instead, the campaign fails to fully compliment either character. A few technical problems plague this title as well. Jumping is not as responsive as it should be. The jumping action can be delayed or even nonexistent when you press the button to jump. When it comes to the sections of the game that require a fair bit of finesse and precision, to have such a simple action fail on you is beyond frustrating. The jumping action is also muddled and confusing. To jump, simply press the corresponding button, right? No, doing that only gives you a small, useless skip. To get a full jump, you must hold the jump button down. Not only is this bizarre, when you have to jump, double jump, and air dash, it seems utterly annoying and pointless. Even after playing the game twice, I still cannot find the reasoning behind this jumping mechanic. When the game opens, you are greeted to a lovely motion comic cutscene. However, when you enter actual gameplay, you will find beautifully designed characters and enemies in a visually drab 3-D environment. It is not just unattractive, it is visually jarring to see illustrated characters placed in a graphically generated world. It is not all bad though, the soundtrack is amazing and would be a pleasure to listen to outside of the game. 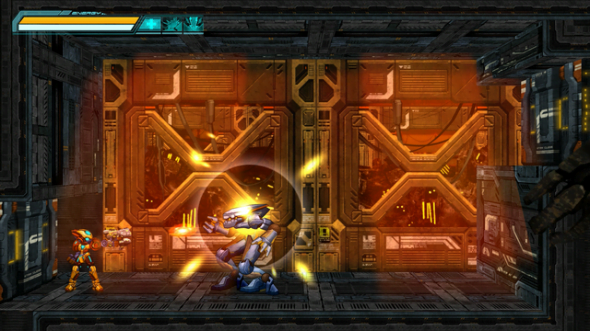 Levels are open and allow for multiple paths for completion and new enemy types require different strategies and approaches. End level ranking systems, awarding you with a letter grade, while not new are appreciated. And despite my many issues with the “Copy & Pasted” campaigns between characters, if you feel compelled to play the game a second time, you are guaranteed to have a new experience. A.R.E.S. Extinction Agenda is not a bad game even with its many flaws. If you are truly a fan of platformers, it may be easy to look past most of this, though it is a shame that the developer’s aspirations and creativity were most likely constrained by limited resources.